This could be the start of something beautiful. Or not. But here's my first film (and maybe a bit of telly) column to capture bits and bobs that we don't always have time to cover elsewhere. I take on recent cinema releases, 'Godzilla' and 'X-Men: Days Of Future Past', along with a digest of recent film and telly news. 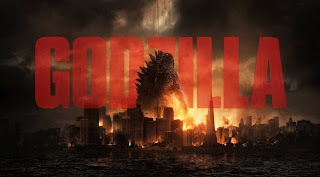 Earlier this month, Maxamillian FG offered a comprehensive take on the history of Godzilla films by way of some sort of surrealist nightmare that blended fiction, feature, and (spoiler-free) review. "There was nothing the world needed less than another Godzilla movie." I'm not sure I'm quite in the same boat as my fellow scribe, and the potential of a new Godzilla film intrigued me. As did the opening title sequence, which hints at the presence of a monstrous creature by way of archive footage, newspaper clippings, and more - something I plan to comb through at the nearest possible opportunity. A fairly strong opening scene follows, which is usually a good omen but unfortunately much of the rest of the film fails to replicate the initial tension and drama. Not that it's stopped director Gareth Edwards from being tapped up to helm a new stand-alone 'Star Wars' film, with Gary Whitta penning the screenplay. Moving backwards/forwards, the new X-Men film also appeared recently - with Bryan Singer back in the hotseat. Taking on the popular 'Days Of Future Past' story, tweaked by screenwriter Simon Kinberg, the film mixes both the more recent cast (McAvoy, Fassbender, Lawrence et al) with the earlier iterations (Stewart, McKellan, Berry etc). Hunted down by robotic assassins, Wolverine is sent back in time to avert the actions that are leading to the mutants' forthcoming extinction. There are some nice action set pieces that display the talents of new mutants Blink and Quicksilver but unfortunately, the film is bogged down by a rather whiny relationship between Xavier and Magneto in the 1973 timeline. After the impressive work of 'X-Men: First Class', it's particularly disappointing that the aforementioned relationship feels somewhat botched. Fingers crossed things will become more engaging in 2016's schedule 'X-Men: Apocalypse' - a title which hints at the post-credits scene. Out this Friday (30th May) is Tom Cruise vehicle, 'Edge Of Tomorrow' - a film which is a bit like 'Groundhog Day' with alien battles. I'm pretty ambivalent about Mr Cruise but my interest was piqued by director Doug Liman, who pitched the film as such: "There's something for everyone: if you love Tom Cruise, he gives this amazing performance...if you hate Tom Cruise, he dies like 200 times in the movie." Slightly further ahead, based-on-a-true-story drama 'Fruitvale Station' finally drops in the UK on June 6th. We caught the film as part of the Sundance London festival earlier this year, and were left stunned. Worthy of its plethora of awards, try to avoid details of the film before viewing. Over at the Cannes Film Festival, the prizewinners have been announced - particularly pleased to hear Timothy Spall coming away with an acting award, as well as the precocious Xavier Dolan nabbing a share of the Jury Prize with veteran Jean-Luc Godard. 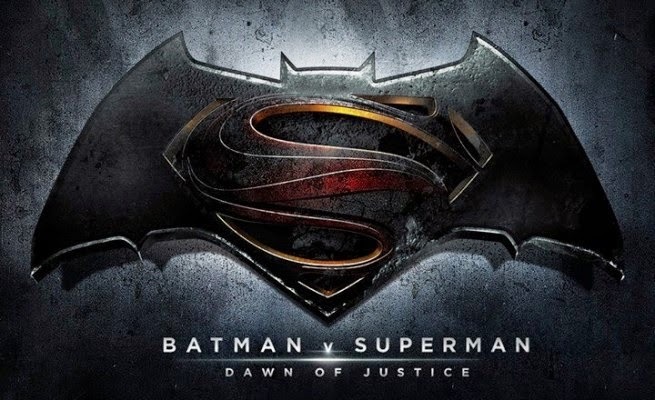 You'll probably have heard that the 'Man Of Steel' sequel features Batman. And is now called 'Batman v Superman: Dawn Of Justice'. Which I think is a rubbish title. In less good news, Edgar Wright has parted from the forthcoming 'Ant-Man' film, having begun prepping the project way back in 2006. The Hollywood Report has some possible reasons for exiting but the director-less film is still scheduled for a July 2015 release. 'Jurassic World' director Colin Treverrow has been spilling the spoilerrific beans about the latest 'Jurassic Park' sequel over at Slashfilm. I heartily recommend his debut feature, 'Safety Not Guaranteed'. Nowadays, plenty of initial trailers tend to give away a fair amount of detail - not so for the new Peter Capaldi-led 'Doctor Who' series, which seems to feature a brief re-appearance of The Silence. And not much else. The TV show returns in August. A neat link to last week's BAFTA Television Awards ceremony, where special 'Doctor Who' ep, 'The Day Of The Doctor' came away with an audience award. Ant & Dec and 'Broadchurch' were the big winners on the night.